The Milan Cathedral is an iconic tourist attraction in all of Italy, which attracts more than 5 million visitors each year. This results in long queue lines and most tours have large group sizes. However, this tour is an exception! Skip the long queues at the entrance and proceed directly into the breathtaking monument which celebrates the Gothic style of design. 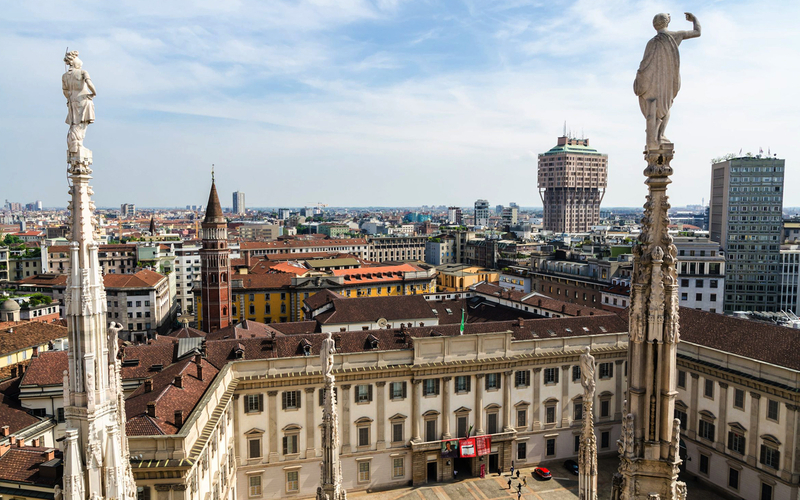 Rich in statues, gargoyles, and decor, the Duomo is the focal centerpiece of the city and no trip to Milan is complete without visiting this majestic cathedral. The other big advantage of this tour is the presence of a professional English speaking guide and the small tour group size. Not only will you be always able to keep up with the guide, but you’ll also get to listen to everything he has to say enabling you to learn more about the monument and pick up insights on it that other people don’t usually know. You also have the option to add a ‘rooftop access and tour’ after the tour of the Cathedral. With this, you can take the elevator to the top and avoid climbing 200 steps on the way there. The Duomo di Milano has an intricately designed rooftop where you can see statues and other religious symbols hidden in the pillars and arches. The rooftops are also known for their spectacular views of the city of Milan and its surroundings. You can also choose to add a rooftop access and tour to add to your experience. Take an elevator to the rooftops, which are arguably one of the best in the world. Spot the Catholic saints standing atop the 135 marble spires, religious figures etched into the buttresses and pillars and over 2,000 statues on the terraces of Duomo di Milano. You will also come face-to-face with the 14-foot golden statue of Mary, Madonnina. But it’s not done here. Just head over to the stone balustrades and enjoy picturesque views of the ‘Fashion Capital of The World’ as it expands below you towards the horizon. 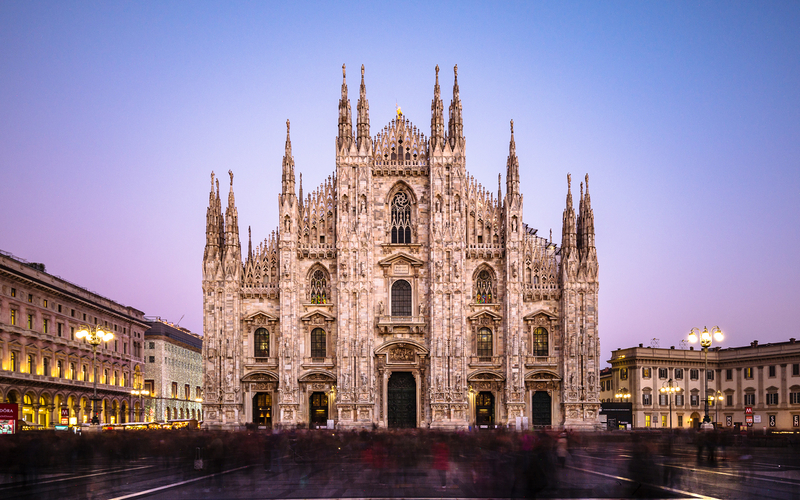 Get priority access to the Milan Cathedral, the third largest church in the world, with your skip-the-line entrance tickets and discover the stunning Gothic architecture up close and personal. Small group size of fewer than 15 people. In case the group exceeds 5 people, you will be given audio headsets enabling you to listen to your guide at all points through the tour. In the next step of the booking process, you will be asked to choose between 2 ticket variants: - Guided Tour of Duomo Cathedral: This variant does not provide access to the terraces of Milan Cathedral - Guided Tour of Duomo Cathedral with Rooftop Access: This variant provides you access to the terraces of Milan Cathedral via the elevator which allows you to skip a climb of 200 steps. The Milan Cathedral is an active religious monument, and modest clothing is compulsory. Knees and shoulders must be covered by both men and women at all points in time on this experience. This is a walking tour and we recommend wearing walking shoes for this experience. The tour runs daily from 2:15 PM. Please arrive at least 15 minutes prior at the meeting point to ensure there are no delays. The Rooftop Access and Tour will be undertaken after the base tour. The tour group will meet at Duomo Square n.4 under the arches next to the United Colors of Benetton Store. The ticket is valid only for the date and time for which you’ve scheduled the booking. You may cancel up to 7 days in advance for a full refund. 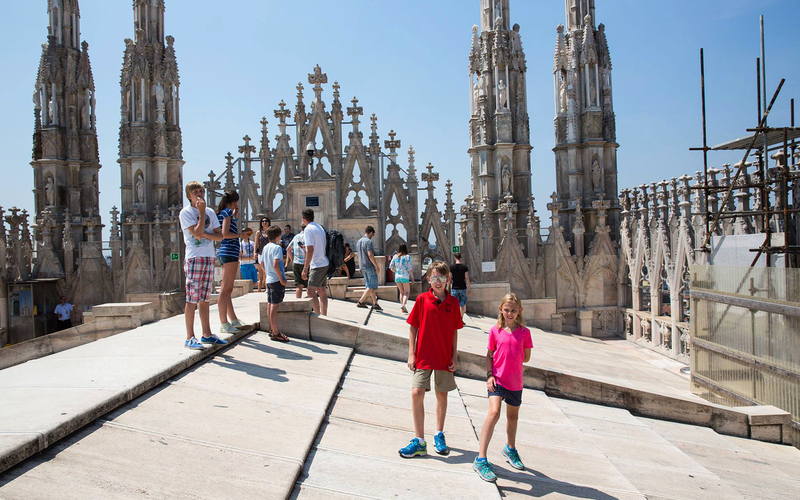 You will receive an email with your Skip The Line Duomo di Milano, Rooftop & Museum ticket voucher shortly. You don’t need to take a print of this. Display the voucher on your mobile device along with valid photo ID at the meeting point located at Duomo Square, n.4 (under the arches next to the United Colors of Benetton Store) to your tour guide and join the tour group. Please arrive at the meeting point at least 15 minutes prior the scheduled starting time of your tour. We'll send offer booking confimrations and coupons codes via SMS. We will send you special birthday offers a few days in advance to your birthday. WalletBuddy curates offers and shows you your rewards balance for your credit and debit cards. We do not store your card number. Enter first 6-digits of your card. Skip for now. I’ll do this later. It happens to the best of us!